This morning marked a significant victory for the climate movement. 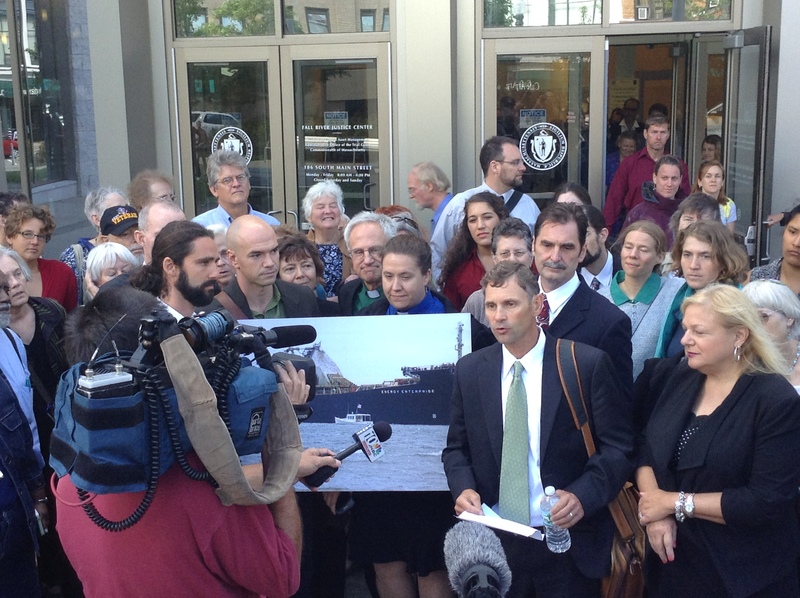 Approximately 100 supporters gathered at the Fall River Justice Center for the scheduled trial of climate activists Jay O’Hara and Ken Ward. Bristol County District Attorney Sam Sutter dropped the conspiracy charges and reduced the other charges to civil infractions. O’Hara and Ward will pay $2,000 each in restitution to the Town of Somerset, Massachusetts. Jay and Ken gathered outside the courthouse with their lawyers Matt Pawa and Joan Fund, along with climate activist Tim DeChristopher and other supporters.